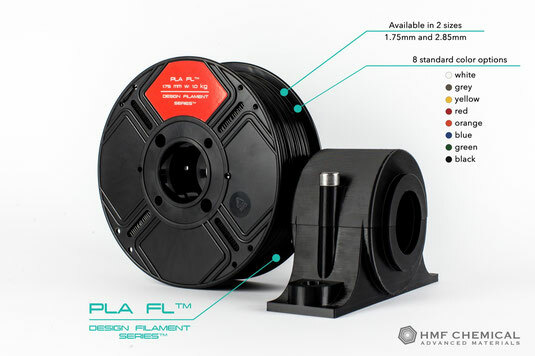 PLA FL™ - elastic PLA material, which is next to ABS plastic, one of the most popular filaments used for 3D printing in FDM technology. Thanks to the use of the proprietary PLA FL™ technology, it is definitely more flexible and resistant to brittle fracture in relation to typical materials of this genre. The filament is embossed with a tolerance of the cross-sectional area deviation up to 0.01, which allows to obtain the ideal lateral surface. PLA FL™ is characterized by excellent cohesion of layers and incredible simplicity of printing. It is an ideal material for hobby applications, creating conceptual or conceptual models. It also works great in the advertising industry for the production of gadgets, statuettes, etc. This material is available in two diameters: 1.75mm and 2.85mm. The palette of standard colors includes eight shades: white, gray, yellow, red, orange, blue, green, black.